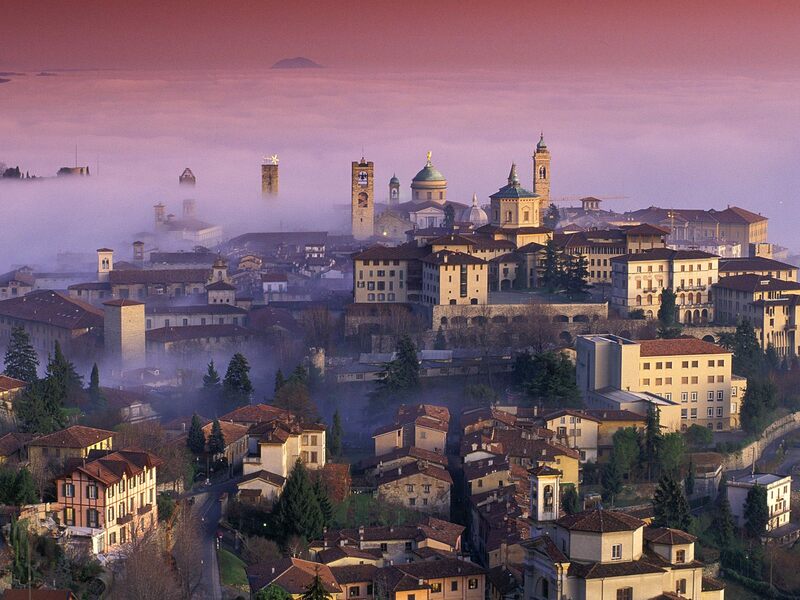 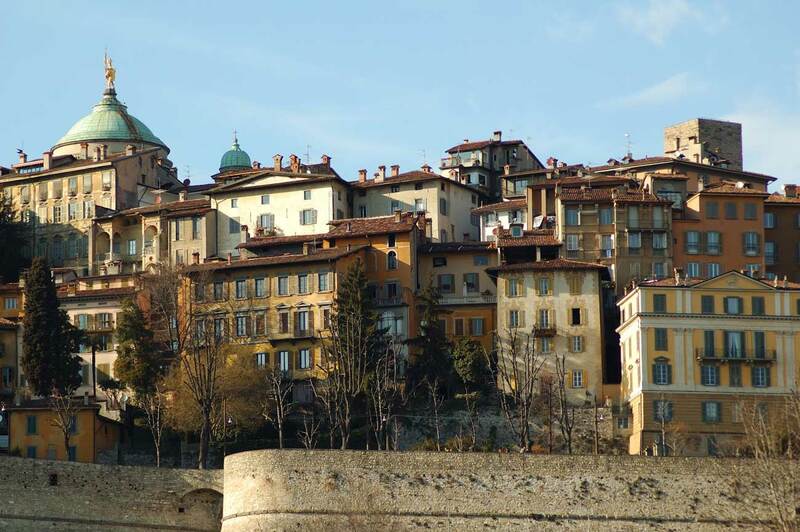 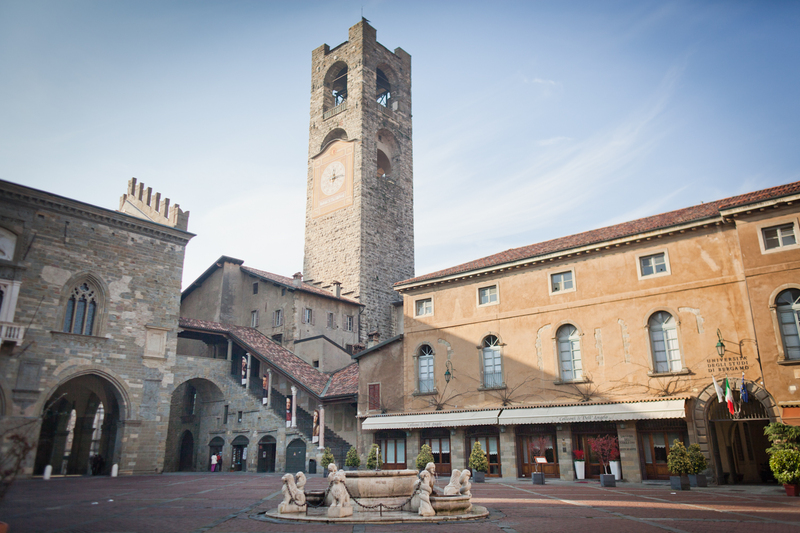 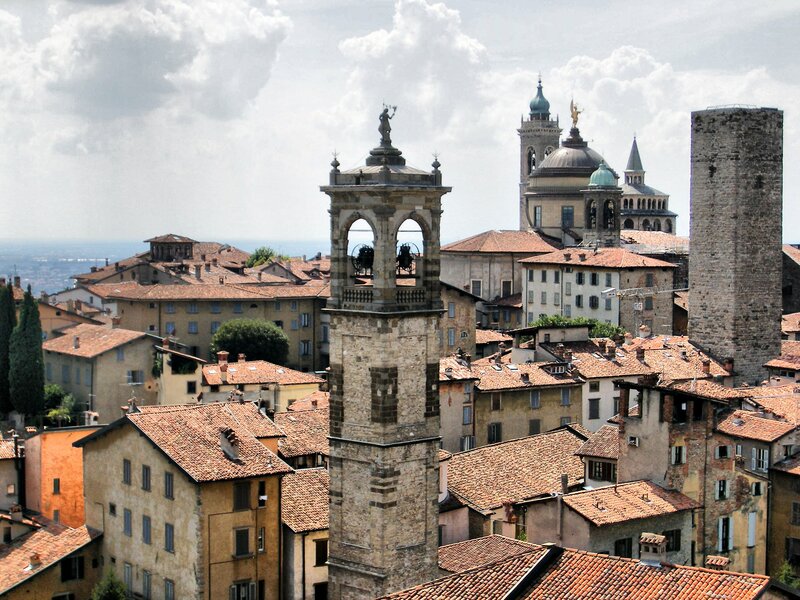 The historic center of Bergamo, known as Città Alta, was completely surrounded by walls that have kept intact their original appearance over the centuries. 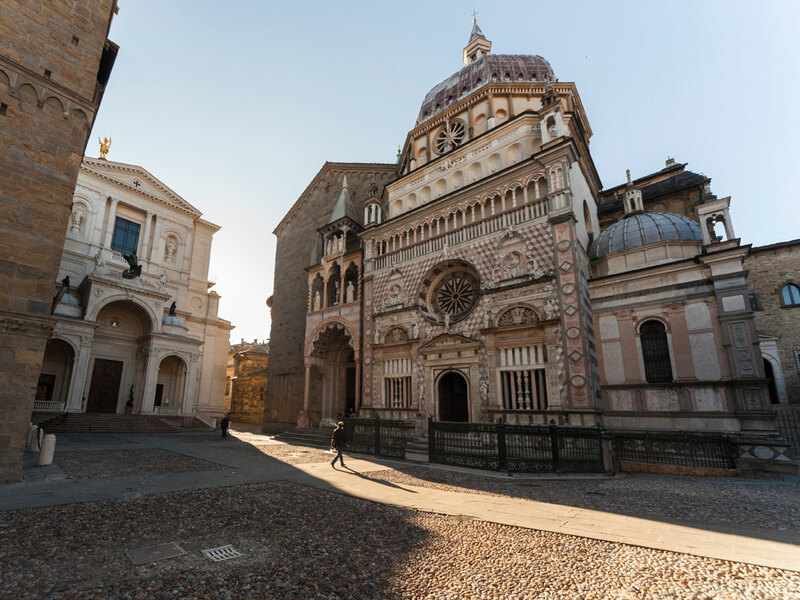 You will visit the Old Town Square, heart of the city adorned with famous monuments such as the Palazzo della Ragione, Public Library, Fontana Contarini and Bell Tower, the Basilica of Santa Maria Maggiore that is the most important monu-ment of the city built in sec. 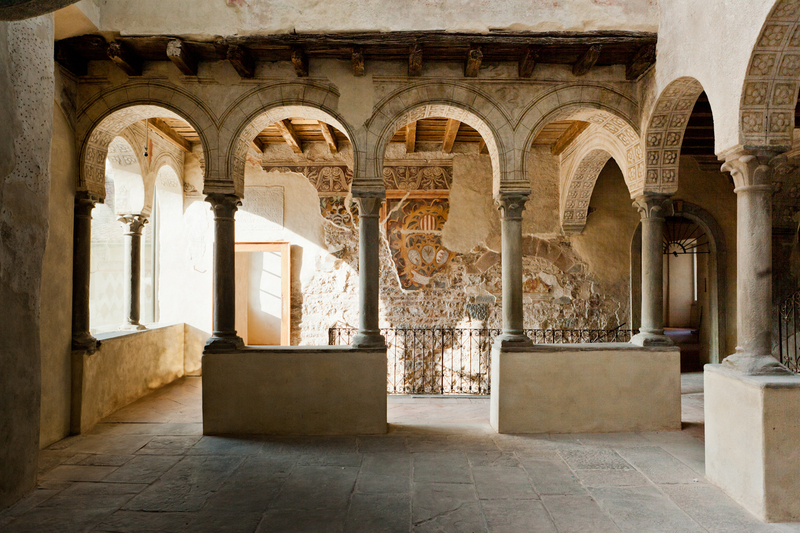 XII, the Colleoni Chapel Mausoleum of the famous condottiere Bartolomeo Colleoni, a splendid example of Lombard art, the Cathedral, the fortress and the Memorial Park and Piazza Mercato delle Scarpe.